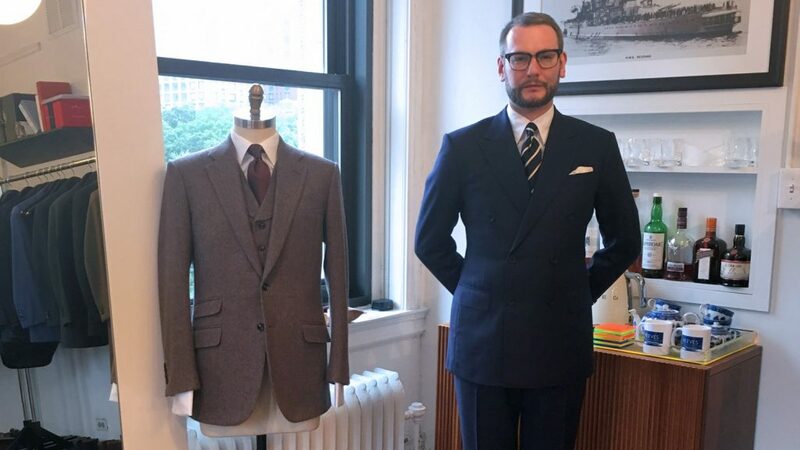 On the eighth episode of From Tailors with Love, I interview David Reeves, the Englishman who runs the English bespoke tailoring shop Reeves in New York City. 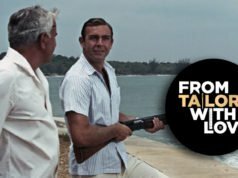 David talks about James Bond style, the state of tailoring in the United States and the unusually vented suits of another James B. 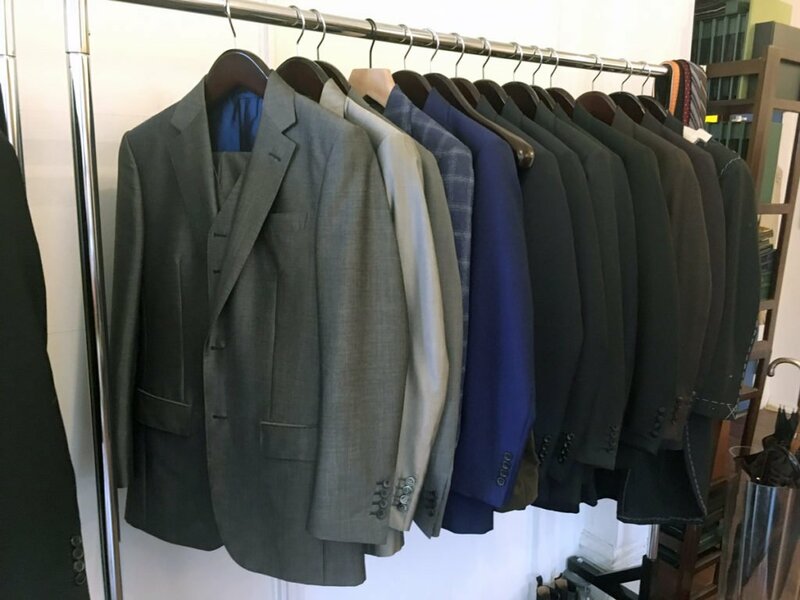 Suits on the rail at Reeves, with many Bondian suits in mohair/wool blends. 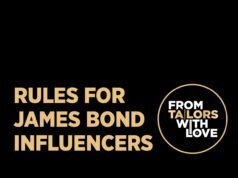 I and Peter Brooker of Human Research also talk about James Bond Day and how much Bond might earn based on the cost of his suits. Reeves makes some really cool suits! Glad you got some time to speak with him. I interviewed him years ago on my own blog. Do you ever post transcripts of these? Unfortunately I don’t have the time to transcribe this and write new articles for the blog. Sorry. Reeves cuts nice suits, but they’re all the close fitted sort. Gotta admit, though, his suits are more English than most Savile Row suits. The workmanship is also beyond expectations. 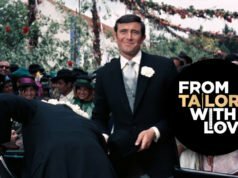 That suit on the dummy in the photo is very “John Steed”, to my eye! So glad you covered Mr. Reeves! I live near his business and have been aware of him and a fan his work for years but had no idea about his background/current life/influences. Not that I imagine I would ever be in the market for a bespoke, but it always made me chuckle that if I ever was, I could get a more-English-then-English suit in my own neighborhood.